We’d love your help. Let us know what’s wrong with this preview of It's About Time by Paul K. Metheney. 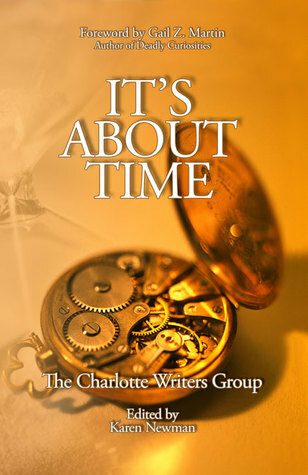 To ask other readers questions about It's About Time, please sign up. About Paul K. Metheney, the Author: Paul was the featured author for dozens of sports magazine articles, has multiple stories published in a recent anthologies, contracts an upcoming anthology, a collection of his own short stories, and is working on a much-delayed novel or two. Marketing: Paul has over three decades working in advertising design, print, and graphic design. For the last twenty-fiv About Paul K. Metheney, the Author: Paul was the featured author for dozens of sports magazine articles, has multiple stories published in a recent anthologies, contracts an upcoming anthology, a collection of his own short stories, and is working on a much-delayed novel or two. Marketing: Paul has over three decades working in advertising design, print, and graphic design. For the last twenty-five years or so, he has been working in the web design, SEO, PPC, social media, and marketing fields, including writing marketing copy for his client's blogs and social media on various subjects. Oh, yeah. He teaches those subjects as well at the local community college. Contact: Paul can be reached at his blog on writing, teaching, poker, travel, reviews, and all things politically incorrect at paulmetheney.com, on Twitter (https://twitter.com/PaulMetheney), and on Facebook (https://www.facebook.com/paul.metheney). Personal: Paul is happily married to his one-time, high school sweetheart, loves riding his Can-Am Spyder motorcycle, sporadically smokes a good cigar, and is an avid poker enthusiast. Paul is owned and cared for by two small Shitzus.